Today’s gospel is again from John. As you might recall, last week Jesus left the crowd and disappeared. We see they regrouped and went looking for him and found him at Capernaum They saw his miracle of the loaves and decided he was the one to come. Jesus was a realist here, as he knew they followed him with full stomachs. Do you realize how central to us and every generation food was. Look today at our lifestyle, our entertainment, our work, recreation, in fact just about all we do somehow touches food. Look at TV and advertising, at our stores, at the number of restaurants and see how central food is to our live. Our celebrations, our family life is in many ways centered on food and eating, It is naturally the center of much of our lives, for without eating, we can not live. To the Agrarian life of old to the present, food and nourishment is very central to our lives, in fact almost to an extreme in our lives. Christ chose physical food and the loaves to remind that yes we need physical food, but he was the food that came from heaven, a spiritual food that would nourish and feed our souls. He is the living food , his body given to us. His body in a very special way feeds our soul and spiritually prepares us for the way. So we can see more clearly that the feeding of the multitude and the discourse on food is not about the miracle, but about Jesus and who he was and what his mission and role was and is for all generations. He truly is our bread of life, the food God prepared for us for the journey. Jesus prepares us in his own way by being our nourishment and sustenance for our life leading to our life to come. What we see then is a clear simple way of understanding Christ as our food and drink as we celebrate the Eucharist. As I mentioned last week, we are taking a mini-sojourn into the Gospel of John and specifically those sections of Jesus’ teaching on the Eucharist. Before we begin that today, though, the Church provides us with the Hebrew background that we need to know in order to put Jesus’ words into the context of Jewish life two thousand years ago. We begin today with the reading from the Book of Exodus which, as you know, contains the movement of the Jewish people out of their slavery in Egypt and their forty year trip to their new Promised Land. In our reading today, we hear the Hebrews complaining about their stay in the desert, or what they call the wilderness, and it could not have been very pleasant. There were a lot of people, and because they were traveling, there was no way to grow food. Yet everyone had to be fed. They found there was, of course, not enough food that they could scrounge to feed everyone, so they were starving. It was not an unfounded complaint they were making. God then sent quails each night that they could catch and kill, and in the mornings on the ground was a substance much like bread that they could gather and eat. The Israelites named it manna, bread from heaven. The Psalm today remembers God’s kindness to the Israelites in the desert, and although they never ate or tasted the manna, they remember through the stories that their grandparents and great grandparents passed down to them about it. They thanked God for his goodness for this bread of heaven and this bread of angels. So the background we need to know is that God took care of his people as God always does, and specifically in this case by nourishing their physical bodies that were starving by giving them the bread from heaven. Last week in the Gospel, we saw how Christ was able to also feed the hungry with physical bread in the miracle of the loaves and fishes. The crowd had been amazed that they had all been fed, and even though Jesus tried to escape them, they followed Jesus. 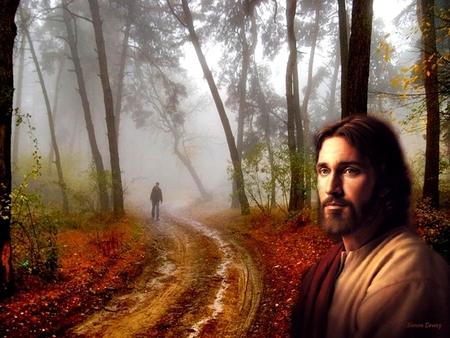 Jesus says that they had followed him only because he took care of their physical needs, their hunger, not for the reasons that they should have followed him. Jesus is more concerned with their spiritual lives, and feeding their spiritual lives with food that will last forever. He says that they need to work for that kind of bread that will last forever, and the work that they have to do is to believe. We have seen that idea of the importance of belief in Jesus many times over the last few months, and here John picks up that theme as well as Mark had. Now our background from Exodus will help us. 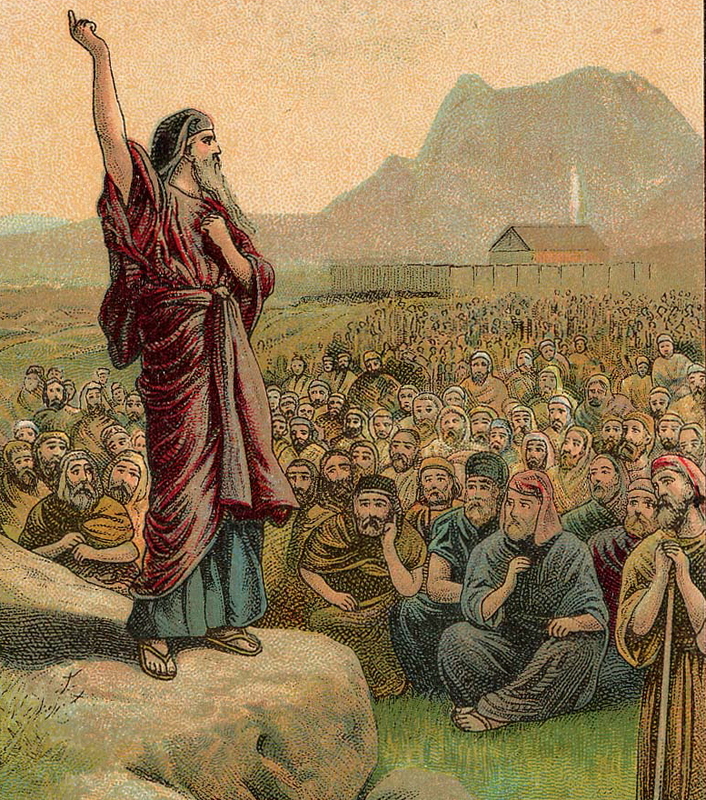 The crowd tells Jesus that Moses gave their ancestors bread from heaven. They ask, what are you going to do to help us believe? Rather odd, since Jesus had just done a rather major miraculous thing for them by feeding five thousand! As Catholics, we were all brought up on this outrageous idea and it doesn’t really seem so foreign to us, but try to imagine what it must have sounded like to the crowd following Jesus. Jesus is bread? Jesus was sent to God for them to eat? If they come to Jesus they will never be hungry spiritually? How crazy must that have seemed to them on the first hearing. We are lucky, because we know what followed, and we know how Christ’s body becomes present in the eucharist – the bread we consume here each week. But the enormity of this idea, the craziness of this idea, the bizarreness of this idea should have shocked his listeners. And maybe we need to be shocked every once in a while, too. We have this amazing gift each week – bread that gives life, that allows us never to be hungry or thirsty spiritually and food that will bring us eternal life! Yet, so many people ignore all that and try to be spiritual in their homes and away from the eucharist. If we really understood and believed the immensity of this gift, nothing would be able to stop us from having this pure gift each week. Unfortunately, through unbelief, through repetition, through busy lives, it doesn’t seem all that important or amazing to us any more. We talk about Good News each week. Well, this news of Jesus today really is good. Let us spend the week reflecting on what a gift it is to us, how by taking the eucharist we can never be spiritually hungry or thirsty, and how we can better prepare ourselves and take advantage of the remarkable powers of this sacrament. Truly good news for a truly good people! Most of us have heard this Gospel many times, and learned that it is a kind of shadow, a figure of the Eucharist that comes later in the Gospel. And we have an even earlier shadow or figure of this back in 2nd Kings, with Elisha. We started today with the prophet Elisha, having “20 barley loaves made from the first fruits” to fed 100 men. “Bread” was typically round like small pita bread; the ground grain was mixed with water and baked. 3 “loaves” was a normal meal for one person. Scholars think this gathering of 100 was a gathering for the prophets of God of the time. It was in the spring, possibly around Passover. Barley is the grain of the poor, the first grain to ripen in the spring, just in time for those who have exhausted their winter food supplies. Out of that 1st ripe barley of the new crop, (the first harvest of the season was called “first fruits”) loaves were made and given to the priests. At God’s direction, Elisha had the 20 loaves distributed, and the miracle was that everyone ate their fill, with bread left over. Well, here’s what. Passover is in the spring, usually just before Easter. Only in spring was there green grass where the people could recline to eat as in our Gospel. Remember that Jesus and the apostles celebrated a Passover meal on what we call Good Thursday. After the meal, Jesus went to the garden to pray and Judas betrayed him. Jews still celebrate Passover every year with reading the Exodus story, wine, unleavened bread, and the unblemished lamb– all that is Passover. Passover and Crucifixion, the necessary preludes to the Resurrection, all are at the heart of our faith. The entire 6th chapter of John has a Passover theme. In fact, John the Baptist proclaims, “Behold, the Lamb of God who takes away the sin of the world” in John 1:29. Jesus goes to Jerusalem in chapter 2, for Passover, and that is when the cleansing of the Temple occurs. Our lectionary spends 5 weeks on this chapter of John, working carefully though what is called “The Discourse on the Bread of Life” talking about Moses and miracles, food and faith, and body and blood. This is “heady” stuff that some theologians spend years on, writing books on, trying to understand the details and fullness of it. I enjoy all that detail, but for today, I think it is more important to ask, “What is John trying to do here?” and “How does this impact my life?” I recently read an article by Fr. Dennis Hamm, a Jesuit, and I would like to share some of his ideas with you. Fr. Hamm says that the point of this Gospel is not to just tell us how some people were fed one day nearly 2000 years ago; and that this chapter from John was not meant to be an exact recording of the event. That frees us from worrying about the other 5 similar but slightly different versions of this story in the other Gospels. Many of us grew up thinking it was a word-for-word report, but it’s really more like an icon suggests Fr. Hamm. An icon is an artistic work, drawn or painted – or in this case written – for the purpose of encouraging meditation and prayer, a way to open us to the teaching of the Holy Spirit. To fulfill its purpose, this reading must connect us to the past, ring true in our lives and worship today, and lead us toward the future with hope. It is to lead us to the living and present Jesus, alive and available to us, who travels with us on a journey to freedom and gives us spiritual food as we go. Talking about Elisha and Passover make it clear how this reading is solidly based in the Jewish salvation story. The intersection of Scripture and Tradition is a great place to start a journey. But as Christians, we have not only a continuation, but also an explosive salvation story, for Passover links us to the resurrection of our Lord. John’s point is that, yes, Elisha was a prophet, but Jesus exceeds Elisha in every way, in numbers, in power, in teaching, in divinity, in rising from the dead. Our living Lord exceeds Moses in every way. Jesus eternally leads all mankind, not just one group, and has love instead of law; he is our manna, his mountain is heaven, and his destination is the kingdom of God, not a country. The danger, of course, is to draw the wrong conclusion. If our vision of Jesus is just a magician who will fix what is wrong in our lives and fill our stomachs, there’s a problem. If we want to cozy up to the political power of the moment, we have not only missed the point, but we’ll be disappointed. Reducing Jesus to an earthly king is so distorted and divisive that Jesus fled from those who would try to twist his message to increase their own status and control. In the darkest periods of church history, people have tried that, always with disastrous results. If you noticed, today we have taken our reading from John’s gospel. The feeding of the multitude is found in each of the four gospels, with two versions in both Mark and Mathew and it appears once in Luke and John. Writing even sixty or more years later, John definitely sees it as a miracle or as a “sign” as he calls it. But I think the important thing here is not to focus on the feeding of the people, or the numbers fed, but the focus in the gospel needs to be on Jesus and who he was, what his mission was and what it meant. Think of the context of the mountain at the beginning and the end recalls Sinai and Moses as leader and prophet. The boy with the five barley loaves is a reminder of the twenty barley loaves that the prophet Elisha fed the hundred with in the first reading. Jesus used five to feed thousands. Thus Jesus like Moses and Elisha was an agent, a prophet of God. Yes he was the prophet, the one who was to come. Thus we see the whole focus was Jesus was on a mission, the one who was coming, the new Moses come to lead Israel. But John is seeing it through the subsequent death and resurrection of Jesus. The people made the right identification of Jesus but were wrong as to the intentions of God the sender of prophets. Jesus was truly sent to lead and be the new king of Israel but not in the way that they perceived in their own selfish view. Jesus sought no earthly powers or kingdom and thus fled from the people before they could act on their misconception of what Jesus wanted. to call their own and ultimately a kingdom, but Jesus was leading people to a place Moses could only point towards. 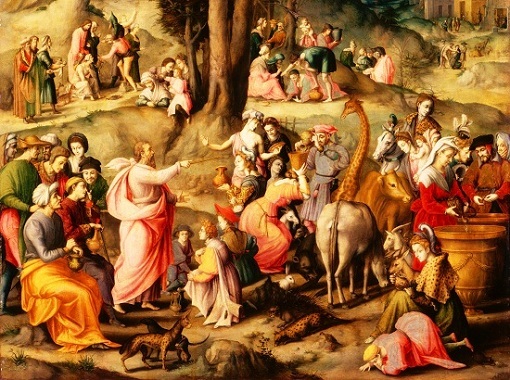 So, the feeding of the multitude for John is kind of a tieing up of loose ends of Jesus ministry, placing him in the context of the prophets, showing he is the one to come and as resurrected Lord is the leader to a place with his Father that no one else could lead .The importance of this miracle is underlined by its appearance in all the gospels and obviously identified by early believers who either experienced the event or knew someone who passed it on to them. It is early witness to who Jesus is and that he provides food not only physically but Spiritually for life and prayer and our journey for eternal life. We are taking a side trip, sort of a summer vacation, for the next six weeks and listening to the Gospel of John rather than the Gospel of Mark which this year is dedicated to. And there are significant differences between the two Gospels – the two are probably the farthest apart – in intent, construction and theology. Mark’s Gospel was the first and it is the shortest, most compact and deals only with the active ministry of Jesus. John’s Gospel was the last Gospel written and is theologically packed as there had been time to ponder the questions of who Jesus was, so this Gospel was more about Jesus himself than his teachings. Not that it doesn’t include his teachings, but they are done in a different format. 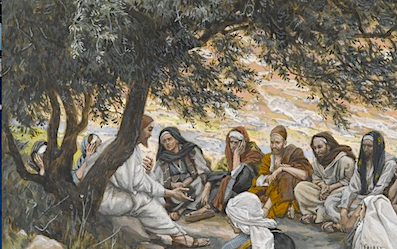 Mark uses Jesus’ parables while John tends to have longer discourses. The longest discourse comes while Jesus is preaching to the people on the mountain and is tied into the feeding of the five thousand. And that is some of the discourse that we will be listening to over the next few weeks. When we are reading the New Testament is if often a good thing to ask two questions of each of the evangelists. Why are they writing their story? and who were they writing to? The answers to these two questions might explain why the four stories differ in some ways in detail, and why some things are more important in them than others. John is writing at the end of the first century to a group that already has faith in Jesus so he isn’t trying to convert them. Instead, he is looking deeper at some of the teachings of Jesus and is especially dealing with the issue of Jesus as God. More than the other apostles he tends to do this with vibrant characters but also with much poetic and metaphoric language. This is a Gospel explaining in great depth who Jesus was and the Gospel is about him more than his teachings. John appears to be writing to strengthen the faith of his listeners, to combat some heretical thinking that was going around about who Jesus was, and to give a fresh interpretation to the three Gospels that already existed. The feeding of the five thousand is recounted in all the Gospels with slightly different details given. In John’s version the feeding becomes a catalyst for Jesus’ running away from the crowd’s attempts to make him an earthly ruler and also to set us up for all the bread images that John will use in Christ’s teaching. He can give them earthly bread, but he is also the bread of heaven as we will soon see. The feeding of the five thousand had some precedent in early Hebrew scriptures as we read in the Hebrew reading today from the book of Kings. Instead of five thousand, it was a hundred, but Elisha managed to listen to God and told the young man to bring out his twenty loaves and feed the people. Somehow, miraculously, all the people were fed and there was some left over. And our psalm today reiterates the idea that God will feed us, that God satisfies all the needs of the people who love him. Food here can be taken literally or metaphorically: God will also give us what we need when we need it, if we continue loving and having faith in God. The letter of Paul tot he Ephesians today doesn’t talk of bread or feeding, but it does talk about the oneness – which is what the image of the bread is also metaphorically about. All the people ate – there was a unity in that. Later, Jesus will talk about that by all eating his body, all will become one with him and each other. So Paul today talks about “one Lord, one faith, one baptism, one God and Father of all” which John will later incorporate into Jesus teachings on the Eucharist. Remember, in John, the establishment of the Eucharist was more tied to the feeding of thousand than to the Last Supper. It isn’t even mentioned at his last supper which is about servitude and reversing the power structure. As we begin, then, reading from John for the next few weeks, I want you to think about food and how it sustains life, how it is pleasurable, how eating together creates unity, because these are all themes that will come up in Jesus’ teaching on the meaning of ‘bread’. We pray each day: Give us this day our daily bread. Does this have more connotation than just making sure we are nourished by food each day? When you pray the Our Father, think about what that might mean to you. As we picnic with friends – even with our own picnic next Saturday – ask how this joins us together. What kind of unity does it create? Then in the next few weeks, we can apply all this to the bread come down from heaven and what it means to us today. This is the Good News I ask you to ponder over the next few weeks. I suppose I shouldn’t be, but I am always startled when I read an Old Testament passage that could have come from the newspaper tossed into my driveway this morning. Newspapers seldom miss a church scandal, and scandal is what the passage from Jeremiah is talking about. “You have scattered my sheep and driven them away,” God declares. The clergy and the lay men and women of the church who make the headlines are most often those who bring scandal to the church, who embarrass the church, who cause us to drop our head into our hands and moan. It is of little consolation that this, apparently, is not a new problem. Some 600 years before Christ, Jeremiah’s “church” needed reform and integrity. The church where I came to love the Lord seemed to be, like this passage says, a “meadow”. It was a place where I found delight in the faith, where I learned the Bible stories that never grow old, and where I felt safe. Later, I took my children to a similar church, another piece of the “meadow”. But when the new pastor was arrested by the vice squad, that meadow became yet another piece of desert. Even if the shepherd/ sheep metaphor doesn’t do anything for you, we all know how it feels to be deceived, lied to, and left in the desert. Which is why the 23rd Psalm is the favorite Psalm of all time. There’s none of that more recent business of “smelly, stupid, downright dumb sheep” here, no, none of that. The 23rd Psalm makes us feel valuable, precious, loved, and protected. Our Lord leads, restores, guides, accompanies, feeds, and anoints. He gives tender care, ceaseless vigilance, presence and protection, and provides a feast! The images are of restful calm, well-being, and affection – affection not necessarily earned, but nevertheless, lavished on us, unconditionally. 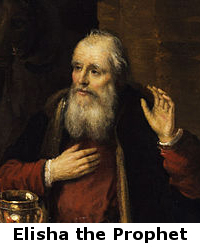 St. Paul is no poetic psalmist, but writes something similar in the prose of every day life. He says Jesus found us “far off” (in the desert), and brought us “near” (back to the meadow). Jesus brings an end to anxiety and fear. His peace makes our enemies into our brothers and sisters. He ends the threat and pettiness of the Law, replacing it with love of neighbor equal to love of self. He overcame death by dying and rising. He came to us, created unity among us, children of One God. Paul says that Jesus has lavished unconditional love on all of us, not just some of us, just like in Psalm 23. Then Mark tells a story of Jesus acting out this love. Jesus shows us how to love by actually loving (loving the unlovable!). 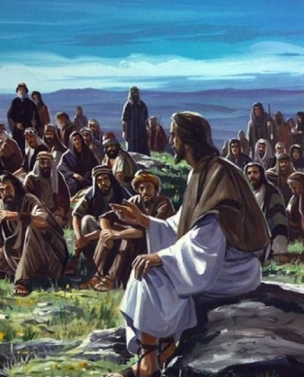 He sends the twelve apostles out to teach, to preach repentance and heal. What a thrill for them to be sent out with such authority for the first time! But then comes news that Herod had beheading John the Baptist. This was Jesus’ cousin, the man who baptized Jesus. What loss and senseless violence! Jesus has no time to grieve; the apostles return with crowds of people following them, and Jesus and the 12 were so busy they didn’t even have time to eat. “Come away by boat to a quiet place and rest a while,” Jesus tells them. But news spread quickly, and more people were waiting for them when the boat landed. At that point, I’d have hired crowd control or posted a schedule of office hours. I’d have been overwhelmed, perhaps even angry. But with surpassing tenderness, Jesus reflects the compassionate of God. “His heart was moved with pity,” Mark writes. Jesus recognized these people had no one who cared, no one taught or modeled for them the love of God. Remember the words from Jeremiah? “I myself will gather the remnant of my flock…and bring them back to their meadow.” Emmanuel, God-with-us, Jesus, the Son of God, does just that. The press of people who need to be loved, who have never found the love of God as portrayed in the 23rd Psalm, who are frightened and lost and scared – their numbers seem to grow daily. We need honest balance in our lives. We need time to eat and pray and rest. We also need to give time, teaching and sharing the love and compassion of Christ, face-to-face. It is easy for that balance to be forgotten or distorted. We also need to balance our efforts to share our material wealth with sharing the emotional and spiritual wealth that Jesus brought us. Teachers know that hungry children don’t learn well. Christians know that bread alone does not satisfy the hunger of the soul. Balance becomes real when we spend a portion of our time with those who are like sheep without a shepherd, when our hearts are moved with pity. This week you can expect an opportunity to lead someone beside restful waters and help them restore their soul. That is when we act as God’s hands, bringing back the scattered sheep to the meadow. But your homework is to prepare yourself for next week’s reading. 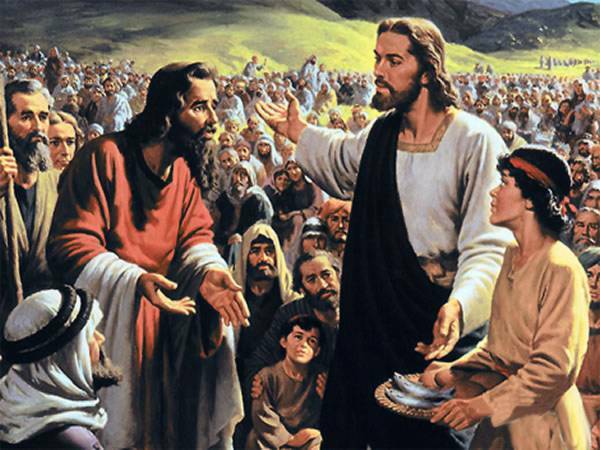 Today’s Gospel is immediately followed by the feeding of the multitude. While a message in itself, this week’s reading begs us to prepare our hearts and minds for the fullness of that miracle – and I do believe it to be a miracle- of the multiplication of the loaves and fishes. Take 15 minutes and read it in the other Gospels*, too, and you will have a better and fuller glimpse of this altar & of the heavenly feast that the 23rd Psalm promises. I find today’s gospel interesting, as it follows upon the sending out of the apostles. After their return, they reported all they experienced, and probably with much enthusiasm. Remember they traveled by walking, and how far and how long they were gone we do not know, but even in their excitement, they must have been tired. We see Jesus invited them to seek out a lonely place and rest a while. Even in ancient times,people knew the need to refresh the body and mind. Yet, we see the crowds saw them go and anticipated their destination and preceded them there. Jesus, being good and compassionate person, saw them as being like sheep looking for their shepherd to lead them. He put aside the apostles’ physical needs and taught and ministered to the crowd. And so it goes with possessors of the spirit, our time, our witness is virtually never ending. We are called to serve and witness as soon as we see the need to act. The spirit generates the love and the strength to reach out even at our inconvenient moments. 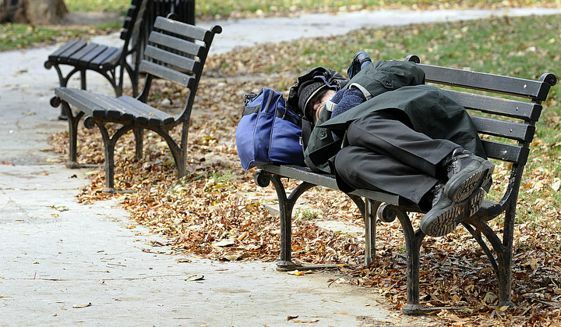 While rest, convenience, solitude, even prayer all matter, what matters more the a person reaching out for help. It is not always easy to determine what help or need a person might have. We need to take the time to listen, to the person, and to the Spirit in our own heart. What measure will be given to us if we simply take for granted and just categorize people instead of knowing them? Sure we can not solve the problems of everyone we meet, but we can be loving and understanding and open to be the witness the spirit calls us to be. Several times in the gospels, Jesus went off to quiet lonely places. When he could he prayed and communed with his Father. But as we saw today, he responded to those who sought him out and taught and healed despite what was his original intention. I think that this can be a reminder to us who are called to remain open and flexible in our lives as we meet and live out our lives among others so that even in our weariness we continue to witness. In actuality, what could be more refreshing than bringing peace to another. ?